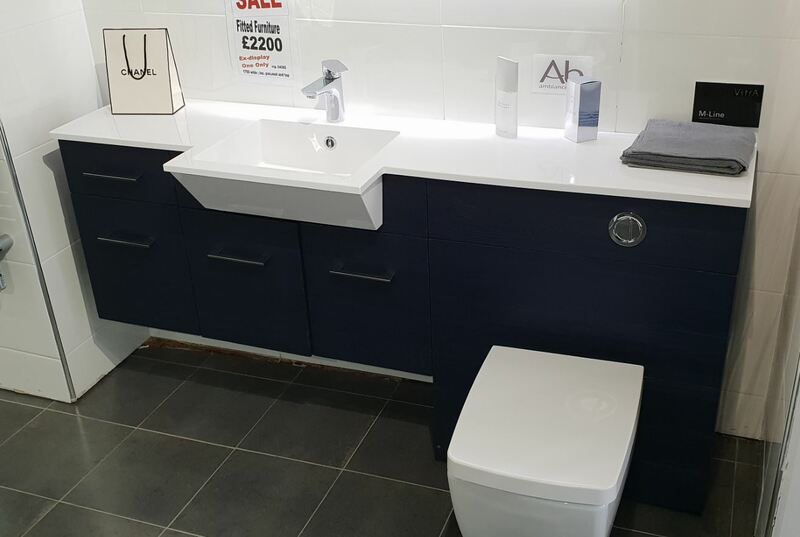 We are selling off some beautiful, top-quality ex-display kitchen & Bathroom units at rock bottom prices to make way for new ones! If you want a more luxurious room but you’re budget won’t really allow for it, you should definitely consider buying ex-display units. Still in beautiful condition there’s literally nothing wrong with them and you can get a real bargain! 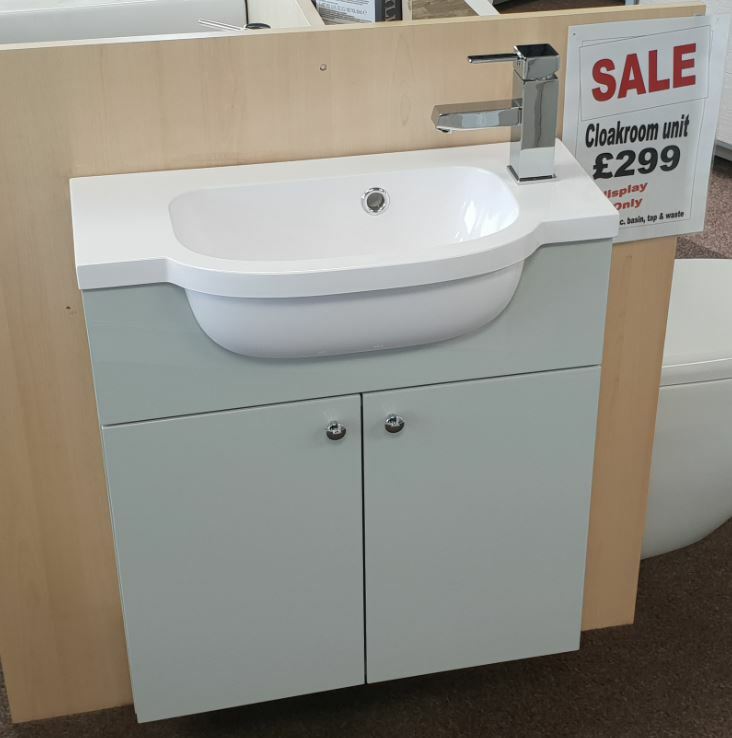 We regularly have massive reductions on a range of Kitchen & Bathroom Displays. Come and see us to see what's currently on offer! Go modern with this sleek gloss white display kitchen. 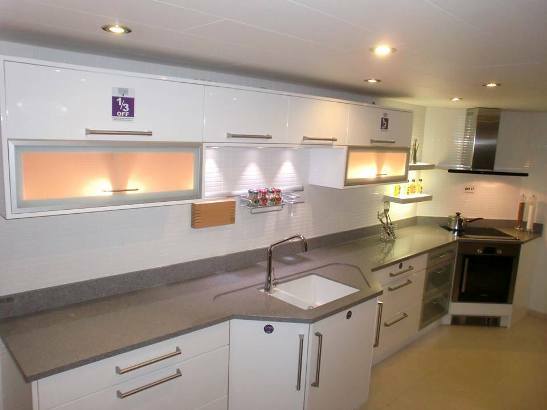 Quartz worktops and appliances to be sold off! You deserve a kitchen or Bathroom you can be proud of and that your friends will envy. Don’t miss out of these great oppurtunities, a beautiful kitchen or Bathroom without the hefty price tag! If you would like any additional information, please do not hesitate to call us on - 01623 515793. Alternative please come and see us in store! We are open seven days a week and our fully trained staff are always ready to help.